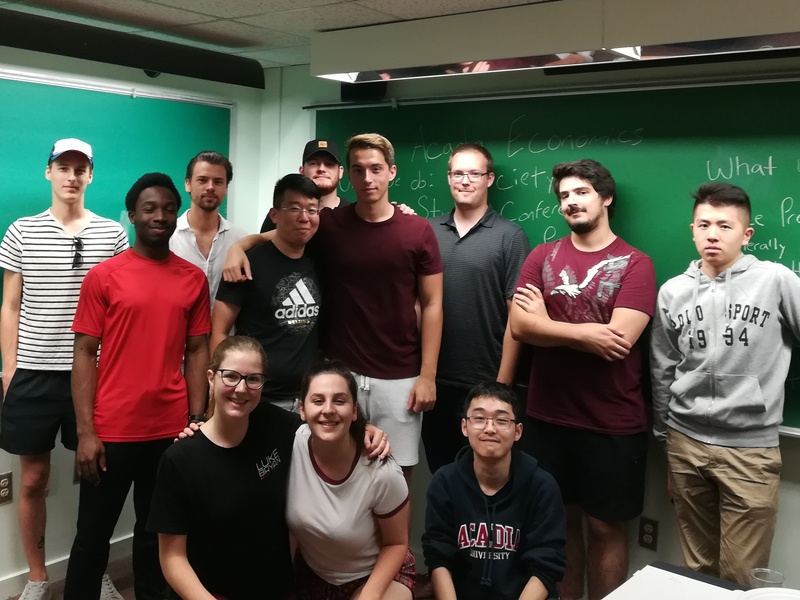 Welcome to Economics at Acadia! Economics has been classically defined as “the study of people in the ordinary business of life.” Life, for all of us, involves dealing with a never-ending series of choices and questions. How do I spend time this week? Should I start a family, and if so when? Is the overpriced popcorn at the movies worth it? What's a good way to encourage people to donate more organs? Economics provides a compelling way to think critically about any issue where people are involved in making decisions, whether it's government policies that affect the entire country or the smallest personal issue. Regardless of whether the discussion deals with inequality and unemployment, or topics like the environment, sports, health care, and discrimination, the tools provided by economics gives you the ability to analyze the issue and put forth an informed opinion. The mission of the Department of Economics is to create an environment where you develop the skills and insights expected of a modern economist educated in the liberal arts tradition, and where an interaction is fostered that promotes teaching, research, and service, all in a technologically-rich environment. Congratulations to Econ major Zihao Wang on receiving an HSRA award for summer 2019. Dr. Diana Alessandrini will be giving a guest lecture on "The Intergenerational Effects of Recessions"